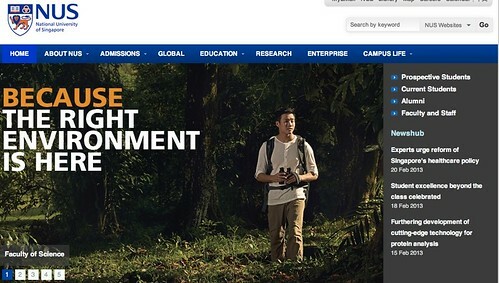 One or more part-time field assistant(s) are required to help to conduct vegetation surveys in secondary forests of Singapore from March to June 2013. 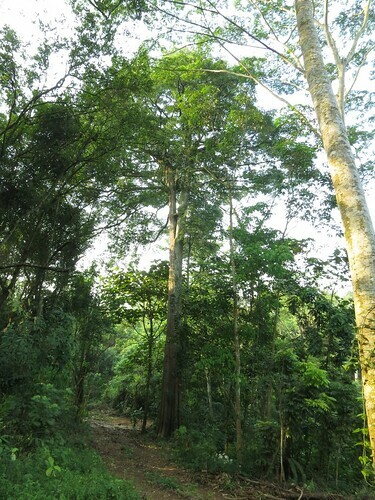 This project on the regeneration of young secondary forests in Singapore will attempt to describe and identify possible factors that affect the regeneration of forest structure and community composition in the young secondary forests. Work at least two days a week. Most work will be conducted on weekdays, but access to some areas are dependant on authorities and may include the occasional Saturday, Sunday or public holiday. Knowledgeable about forests and forest plants is useful, but candidates with no prior knowledge of vegetation survey and plant identification techniques can also apply as training will be provided. Please contact Alex Yee Thiam Koon, Graduate student, Botany Laboratory, Department of Biological Sciences, National University of Singapore. Email: haloriyee@gmail.com or call 6516-2708. 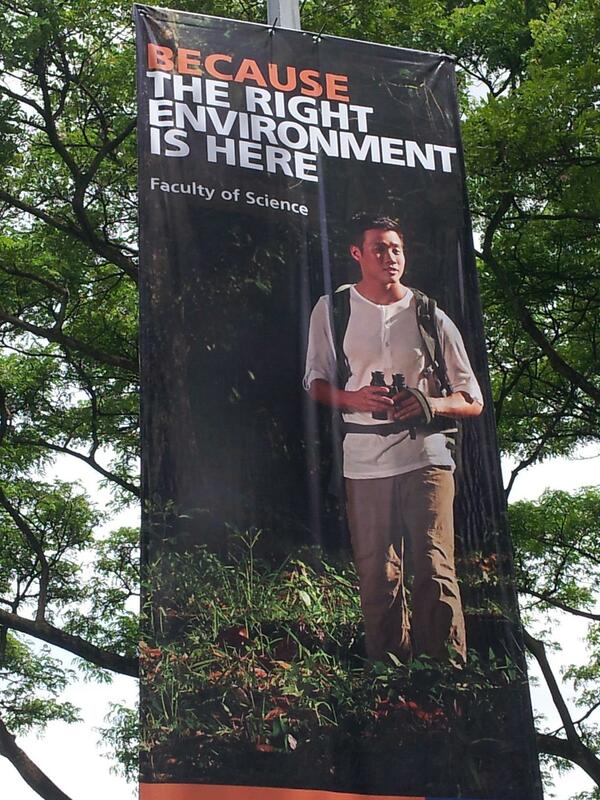 If you’re on NUS Kent Ridge Campus, keep your eyes peeled for a larger than life leopard cat researcher! 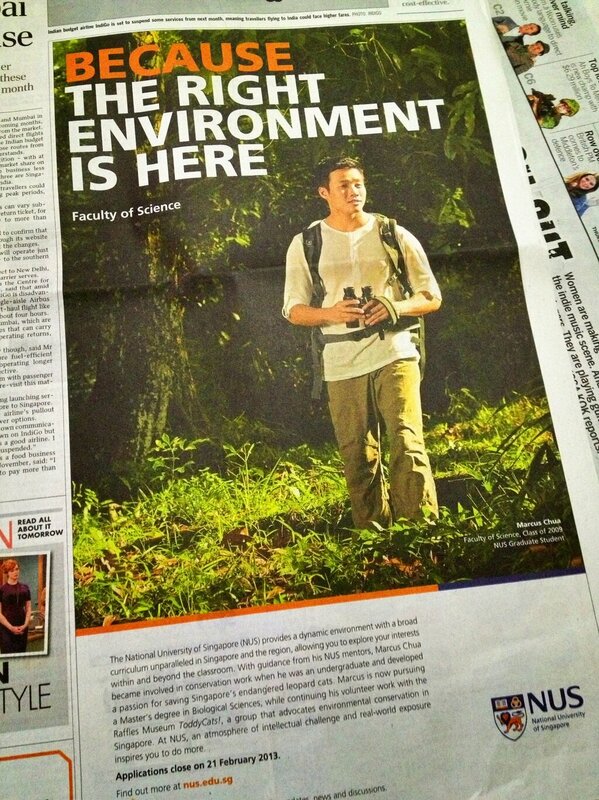 Marcus Chua (Ecology and Systematics lab) represented the EVB group in the recent Faculty of Science photoshoot and NUS loves it so much, it seems to be part of the NUS admissions drive. Read more about Marcus’ leopard cat research here. 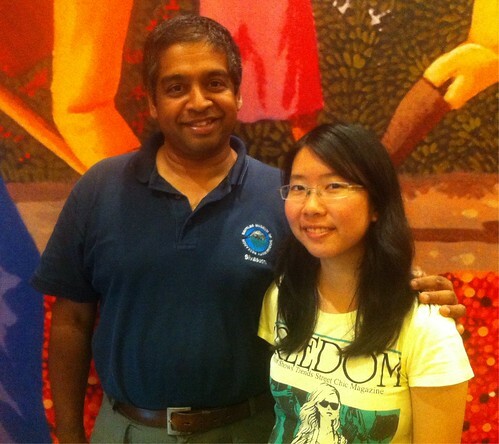 Elizabeth was one of many students whom I interviewed before her Student Exchange Programme (SEP). When I learnt she was going to Sweden, I told her about my experience with Swedes aboard the Götheborg in 2006. Oddly enough, amongst other things, they introduced me to Facebook! 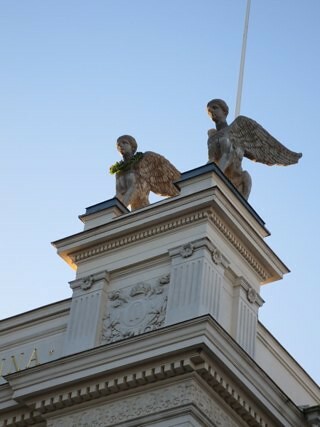 She’s back suffering in NUS once more, and we just caught up at University Hall’s Spiinelli’s for fika. It’s always interesting for me to learn from our SEP students what teaching practises overseas are like. Elizabeth had scoured the web for student accounts of SEP before she left. Not many seem to be blogging or perhaps they are writing ephemeral Facebook entries. So I decided to post her email and letter to the net, to add to Goh Kar Ying’s 2009 New Zealand experience. 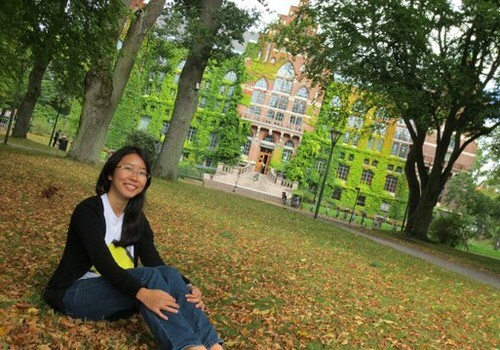 I just came back from my exchange in Sweden two weeks ago, and I wanted to thank you once again for helping to write my recommendation letter that enabled me to embark on this journey. When you met up with me, you encouraged me to talk to the Swedish and to experience the country and culture while I was there. Indeed as I had the opportunity to stay in a Swedish corridor, I was able to form a friendship with one of the them and we had quite a number of conversations including the topics of Swedish culture and even politics. Some of the practices that stood out for me were recycling (we had to separate out the plastic, metal, paper, carton, colored and uncolored glass), and having a queue number for the service desks at the bank or post office for example. 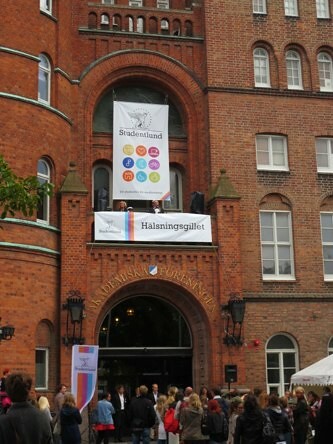 During the orientation period, we had a 2-week swedish introductory course and I also took a course on Scandinavian culture and society. Through it, we sang some Swedish songs and watched a few Swedish movies, including Virgin Spring, by the famous Swedish director Ingmar Bergman. In December, I also had the chance to try traditional Christmas swedish food at a biology department dinner and the Christmas party at Lund cathedral, where we also followed the Swedish tradition of dancing around the Christmas tree! 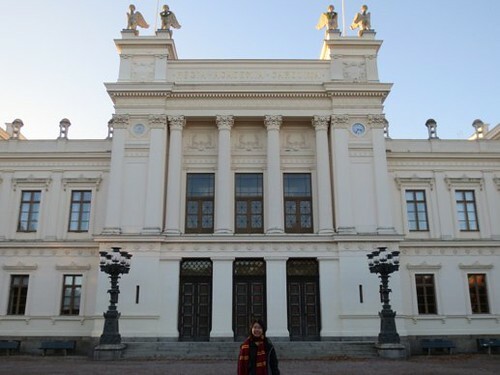 “Spending six months on exchange in Lund University, Sweden has been such a wonderful experience. Having never been to Scandinavia before this, the Swedish culture of having ‘fika’ or coffee breaks and the practice of greeting ‘hej’ by almost everyone from the cashier at the supermarket to shop owners particularly stand out. Cycling everywhere – to school and around the city—is a fond memory as well. Through this experience, I have become more independent, having had to settle administrative matters by myself, buying groceries and cooking my own meals, doing the laundry, and taking on the corridor cleaning duty every few weeks. It definitely increased my confidence of living and providing for myself. Another major plus point is that being on exchange makes one more open to making new friends, and I learnt a lot from interacting with people I otherwise would probably not have made the effort to get to know if I had my circle of friends in Singapore around me. I became close friends with students from Sweden, Germany, Switzerland, Netherlands and Thailand, and got to know people from many other countries including South Africa, Spain, Ukraine, UK, China, Hong Kong, New Zealand and many more. Academically, it was an interesting change to be able to take one module at a time instead of the five we take concurrently in NUS, and I enjoyed being able to focus on one topic. There were also discussion seminars, which I liked because it was a real discussion with each student bringing up points and it helped me learn from them as well as apply my knowledge. 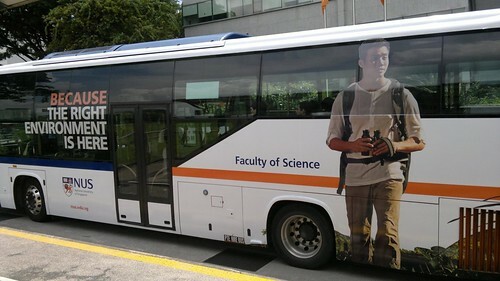 I also had the opportunity to work in the lab there as part of a research project module for international students. 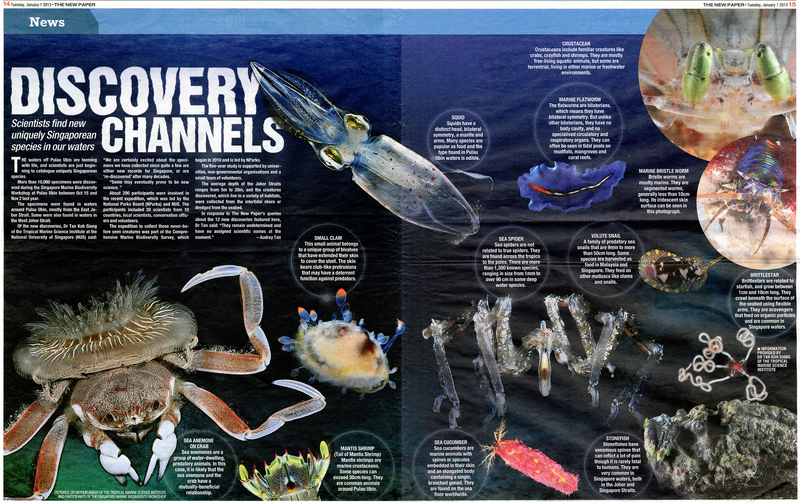 The experience was a very positive one which I felt I learnt a lot from. I was involved in the dissection day in the animal facility, and learnt two research techniques which applied to all my experiments. It improved my problem-solving skills and made me more aware of the processes involved in research, which I feel will help me in doing my FYP. The atmosphere was a friendly one, with everyone in the research group having morning ‘fika’ and lunch together, which was something I really appreciated. For students going to Lund University, I would recommend staying in a Swedish corridor instead of an international corridor, as I feel it is the best way to make friends with the Swedish. Spending time in the corridor kitchen enabled a good amount of interaction and I would say there was a two-way cultural exchange. 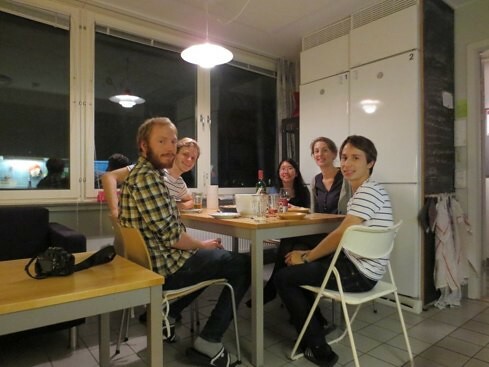 Conversely, it is very easy to meet and befriend international students. 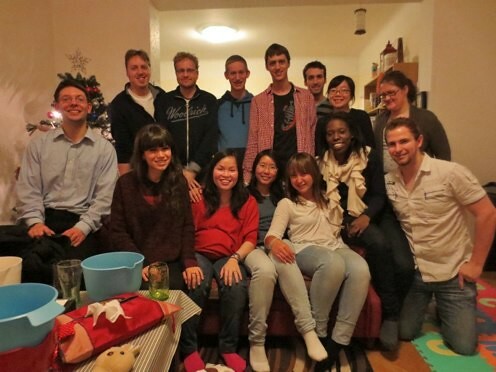 Making it a point to go for the many activities organized for international students especially at the start is a good way of meeting new people and forming friendships that can last for the whole exchange. For other student posts, see studentsspeak!